Chrome polished metal posts useful inside building where queues are to be maintained. 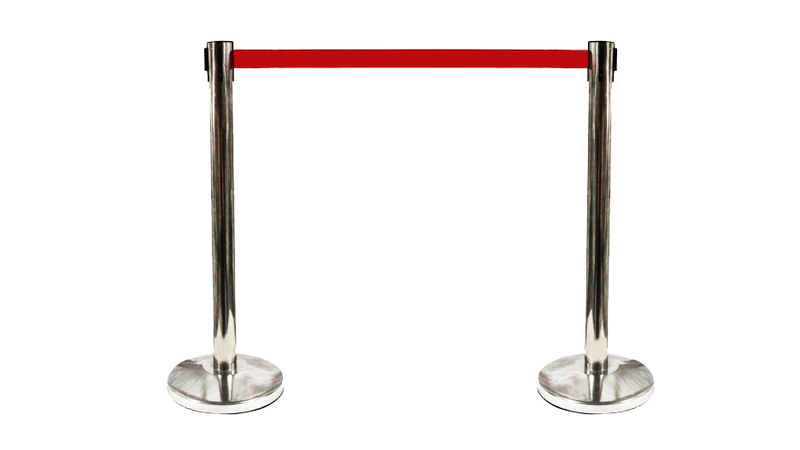 The posts are extremely durable and the base is heavy so that its not easily displaced. Customers have option or different colours of tapes and even branding. Belt Length upto 2 Mtrs.